One of many versions of the highly successful A300B, the Airbus A300B4 features reinforced wings, an upgraded cabin, improved landing gear, and an optional rear cargo bay fuel tank. With one of the longest ranges in the class, the A300B4 is also fast, luxurious and equipped with a large baggage capacity. The Airbus A300 is Airbus Industries first production aircraft. It made its first flight in 1972, and was first delivered to Air France in 1974. It has an impressive performance run of over 30 years spanning from 1971 to 2007. During that time Airbus as produced 561 Airbus A300s and they are currently operating all over the world to this day with passenger and cargo air carriers. Production on the Airbus A300B4 started in 1971 and ended in 1984. 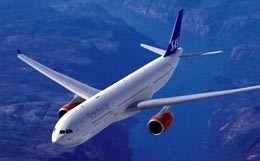 The Airbus A300 has a maximum seating capacity of 345 passengers, with a typical seating capacity of 266 seats. 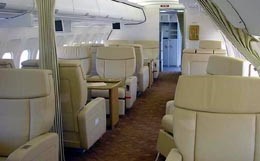 The cabin is arranged with a 8 abreast configuration, with a row of 4 seats in the middle, with 2 seats on the outboard of the cabin. There are a total of 6 lavatories onboard, with 3 galleys used for food and beverage preparation. The flight deck is equipped with the latest avionics including a flight management system, autopilot, and terrain and traffic collision avoidance systems. 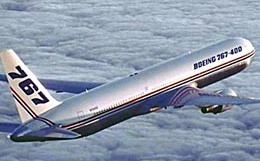 The Airbus A300 was designed be to a medium to long range transport aircraft. Accordingly, the aircraft has a range between 3600-4070 nautical miles depending on the variant. The aircraft can achieve top speed of 544 miles per hour, at a typical cruising altitude of 35,000 feet. For more information about chartering, leasing or buying a Airbus A300B4 please contact us by calling +44-20-3874-8091 or send us an email here.